Well, Happy almost Valentines’s Day! I would post tomorrow in true celebration of the holiday but it also happens to be my wedding anniversary. 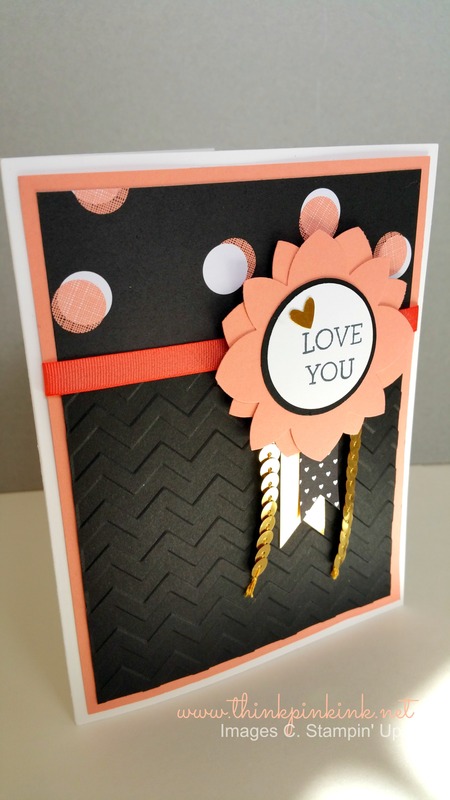 So here is a “love” card I made with some of our new products. Some products aren’t so new like the gold sequence trim and the chevron embossing folder. The ribbon is from the Sale-a-bration catalog and is a wee bit brighter than the Crisp Cantaloupe (it’s Calypso Coral) but I like the way it pops! I used the new “Stacked with Love DSP Stack” in the Occasions catalog that I loooove. In this picture one of the banners is from the same paper stack and the other is the fancy gold foil paper. The stamp set is “Crazy About You” and I tell you, you can use this stamp set for any occasion. From “Happy Spring” to “Celebrating Father’s Day”. CUTE CUTE CUTE! And it also has a couple flowers. 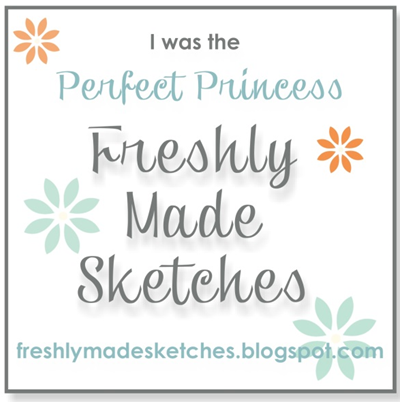 I used the coordinating Flower Medallion punch under the sentiment. I think my next purchase is going to be the Bouquet Bigz L Die so be prepared for some flower projects to come! Ugh, I am ready for spring. Are you with me? 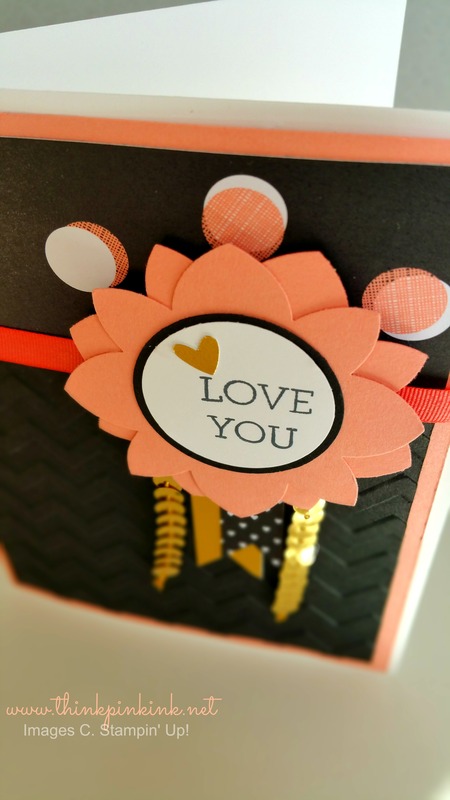 Tagged Crazy About You, Crisp Cantaloupe, Flower Medallion Punch, Stacked with Love Designer Series Paper Stack, Stampin' Up!